On October 15, 2018 a new law came into force in Hungary, penalizing homelessness harsher than ever before. The Constitution amended in the summer of 2018 categorically declares that „Living habitually in public spaces is forbidden” in Hungary. Today homeless people may even go to jail for the sole reason of having no place to live. 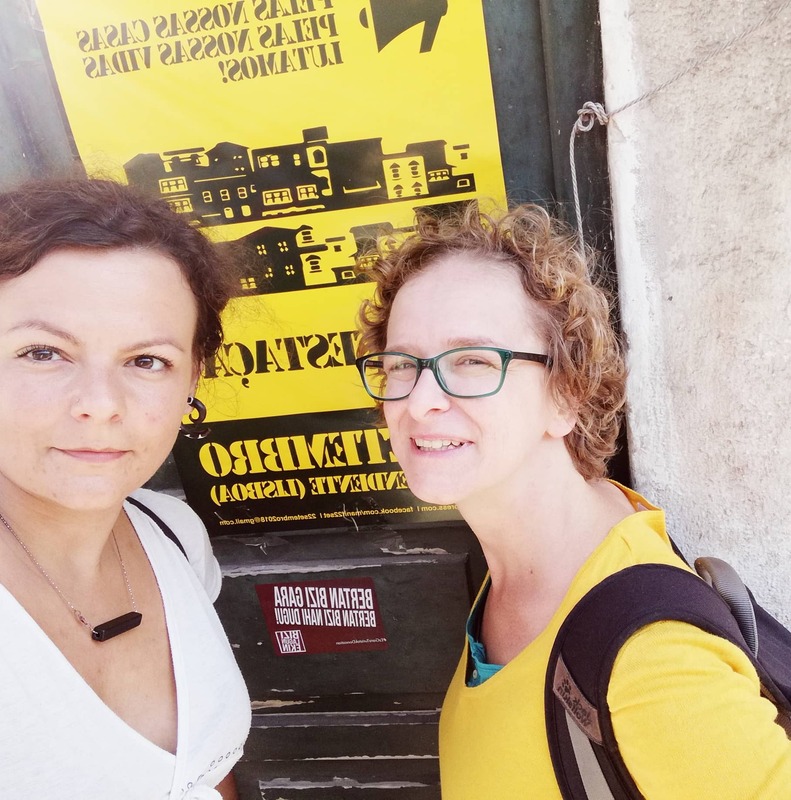 Hungarian society has reacted to this new piece of legislation in diverse ways, but the wave of solidarity with homeless people and mass resistance against the law are stronger than ever before. Living on the street is unrealistic. But what can be done about it? The slogan of The City is for All "Living on the street is unrealistic" has gained new meaning since October 15, 2018 when the legislative amendment prescribing harsher punishment for the offence of sleeping rough entered into force. Here we will give an account of how the law has played out so far and of what can be done to help our homeless compatriots to overcome this period of extreme uncertainty, until the time when we have more insight into how this legislation is applied in practice. This knowledge in itself will not improve their situation, but it will make it at least more predictable. Hungary wants to end homelessness, by banning sleeping on the streets, will it work? The City is for All organized the 8th March for Housing, a march for the right to housing on Saturday, September 29, 2018. About 1,500 people attended the event to draw attention to the housing crisis in Hungary, the massive eviction of families, and the laws that criminalize homeless people. On October 15, 2018 a new law came into force, penalizing homelessness harsher than before. Namely, the Constitution amended in the summer of 2018 declares: „Living habitually in public spaces is forbidden.“ Contemporary writers, actors, stage directors, reporters and representatives of civil society organisations protested against the legislation on October 14 under the slogan „One Sentence“. The organizers asked contemporary Hungarian writers from poets to songwriters to react in one sentence to the incriminating one-sentence amendment of the Constitution cited above. The Hungarian Parliament dominated by the governing party has passed a series of laws since 2013 that facilitates the persecution of homeless people: the fact that habitual residence in public space can be punished in areas defined by municipalities had been first included in the Fundamental Law and then added in the Law on Misdemeanours. Experience has shown that the previous Misdemeanour law has not been enforced: we request the misdemeanour statistics each month from the Ministry of Interior, and the data prove that no misdemeanour infringement procedures have been initiated against homeless people for living on the streets since November 2016 – and it is not because people have stopped living on the streets. It is very difficult to fight against the root causes of homelessness alone, which include extreme social inequalities, low wages and pensions and the lack of housing benefits and social housing. For this situation to change, we need deep social, political and economic changes, which is what The City is for All is working for by engaging in advocacy for the right to housing. Our struggle notwithstanding, there are still thousands of people living on the streets, in overcrowded shelters or in precarious housing conditions. It is essential, that we all do our best to provide help for homeless people and those struggling with housing problems. At times, even a bit of attention can save lives. The following summary was prepared by homeless people and their allies to offer advice to people who would like to help, but are not always sure about how to do so.